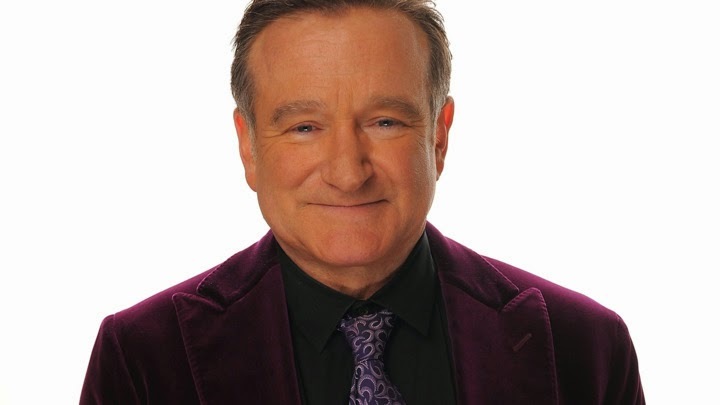 Robin Williams' death has caused a flood of tributes and remembrances from his friends and co-workers. One unlikely anecdote came from Roots drummer and Tonight Show bandleader Questlove, who shared the story on Instagram about meeting Williams backstage at the 2001 Grammys. The story is a testament to both Williams' universal likability and unexpected love of the Philadelphia hip-hop group). "Man. The smallest gesture can mean the world to you. Robin Williams made such an impact on me and didn't even know it. He named checked all of us in the elevator during the 2001 Grammys. I know y'all think I do this false modesty/T Swift 'gee shucks' thing to the hilt. But yeah sometimes when you put 20-hour days in you do think it's for naught and that it goes thankless. Grammy time is somewhat of a dark time simply because you just walk around asking yourself, 'Is it worth it or not? all the sweat and blood. "I just felt like (despite winning grammy the year before) no one really cares all that much for us except for a select few. Especially in that environment in which people treat you like minions until they discover what you can do for them...if you're not a strong character you run the risk of letting it get to you. This particular Sunday we were walking backstage and had to ride the elevator to the backstage area and we piled inside when suddenly this voice just said "questlove.....black thought....rahzel....the roots from Philadelphia!!!! "That's right, you walked on this elevator saying to yourself 'Ain't no way this old white dude knows my entire history and discography'....we laughed so hard. That NEVER happened to is before. Someone a legend acknowledged us and really knew who we were (his son put him on to us) man it was a small 2 min moment in real life but that meant the world to me at the time. Everytime I saw him afterwards he tried to top his trivia knowledge on all things Roots associated. Simply because he knew that meant everything to me. May his family find peace at this sad time. I will miss Robin Williams. #RIP."